Raw power meets agility in the Combat Commander machete from United Cutlery. 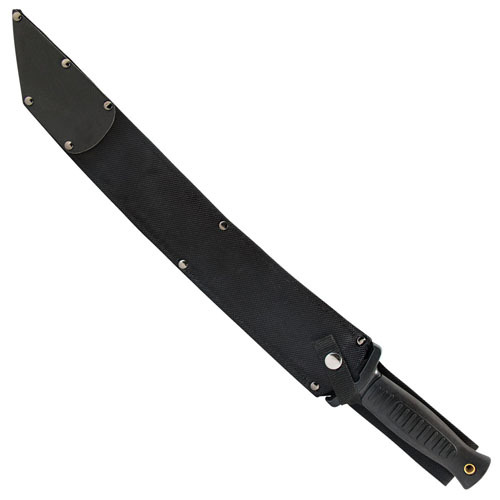 This hybrid knife has a razor sharp, hollow-ground tanto blade with a matte black finish for stealth and discretion. 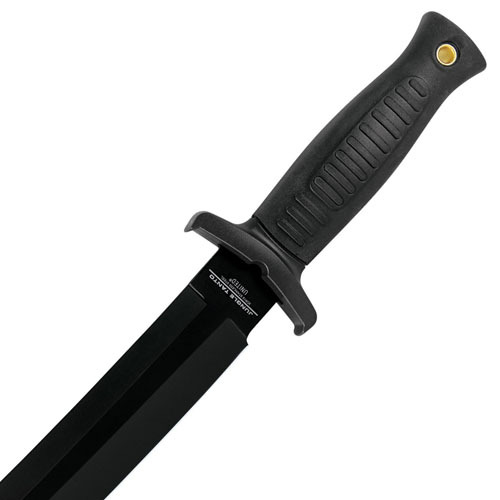 Unlike most machetes, the Combat Commander is light-weight and built for quick draw and swift thrust-cuts. The injection molded handle with cross-guard provides a slip-free grip that protects your hands in wet and messy conditions.